When you first learn how to knit, it is a very exciting time. There seem to be an infinite number of ideas when it comes to knitting for beginners projects. Starting with the easy knitting patterns you can make all sorts of things! Some of the most popular projects when you are looking at knitting for beginners are clothing and accessory items. Things such as these are both fun to make and very useful! In the long run these easy knitting patterns will help you to save money by allowing you to make some of the things you need instead of buying them! 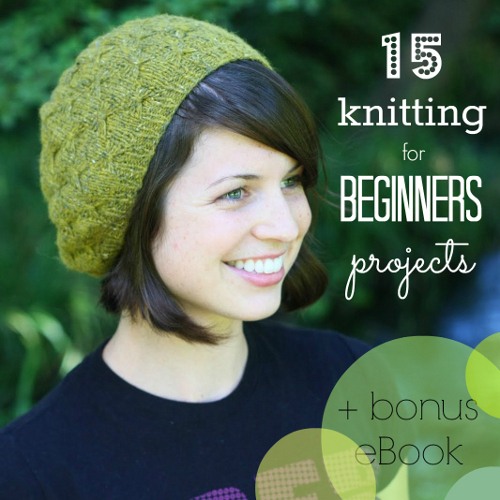 So start by taking a look at this collection of 15 Knitting for Beginners Projects and selecting some that you are interested in. And then just dive right in! Whether you are making them for the cold weather or because you like the style, hats are a great idea when looking for knitting for beginners projects. 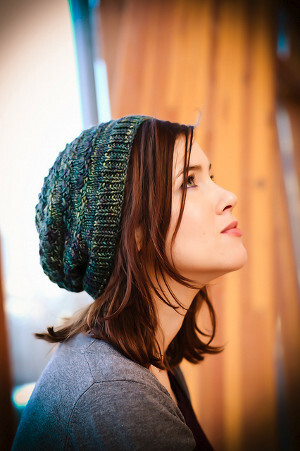 With patterns like the Easy Banded Beanie you can pick your own yarn colors and then just follow the pattern! The Recycled Silk Hat is great if you are interested in an easy, free knitting pattern that is great for winter weather but also a cute accessory for fall. Scarves are another geat project if you are interested in knitting for beginners. By knitting your own scarf you are free to choose whatever color and pattern you like best. 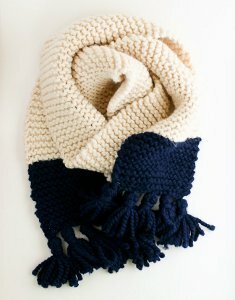 A scarf that you made yourself would also serve as a thoughtful and kind gift! If you do not have much free time, don't worry, because like the One Hour Scarf, not all knitting patterns take a lot of time! There are many easy knitting patterns for bags that a new knitter can do without being too challenged. 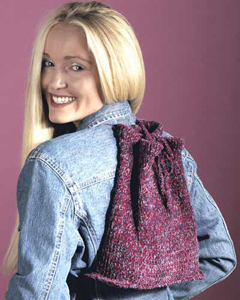 The Quick Knit Backpack is the perfect example of why bags are smart when looking for knitting for beginners ideas. Bags are also multipurpose projects because of their ability to be a stylish contribution to your outfit while also safely storing whatever objects you need to keep with you. Need a little refresher to remember all those knitting skills? Download this free eBook, How to Knit for Beginners: 9 Free Tutorials, that's full of easy patterns and tutorials! You'll be knitting again in no time! Your Fairy Lights Hat pattern link only shows the picture of the hat, not the pattern. Please fix this as I would love to see the pattern. Thanks! i want to know how to read the netting instructions. i dont unstand the word in the patterns and what they mean.